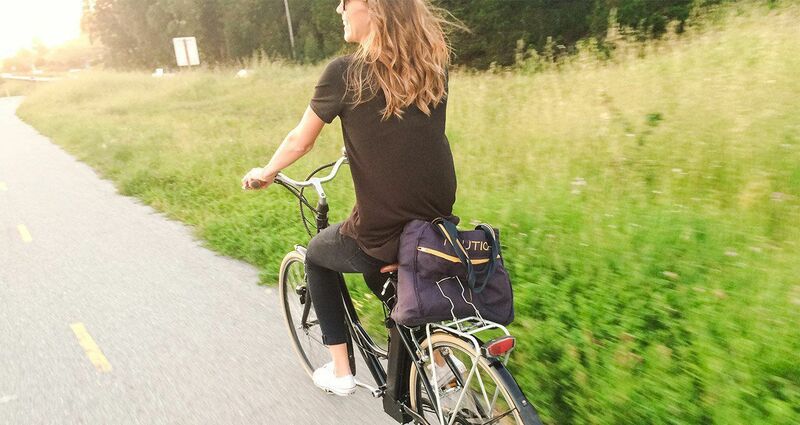 An E-Bike Lifestyle Is An Eco-Friendly, Fitness Oriented, And Freedom Filled Lifestyle. ​​E-Bikes Are The New Standard For Sustainable Urban Mobility ! How far can you go for $1 ? The Many Intrinsic Benefits Of Electric Bikes In Chicago! 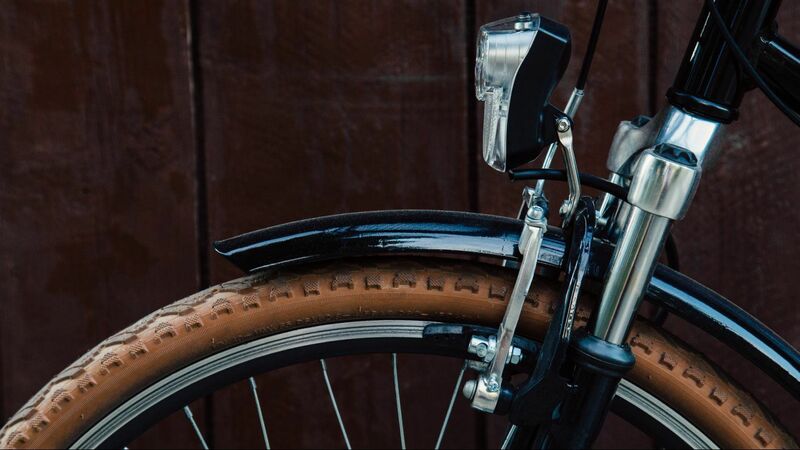 • With electric assist, rough terrain is no longer an issue; hills are simply 'flattened out' .... and Chicago's "Windy-city" headwinds won't keep you from comfortable biking. • E-Bike commuters can easily climb those hills, or handle longer commutes, without wearing down before work. Then do the real 'workout' on the way back home! • 'Parking' is obviously a breeze. You'll be helping to alleviate vehicle congestion too! • Pulling a bike trailer for groceries, or a tot carrying trailer becomes a cinch with the e-Bike! • Electric bikes (e-Bikes) are simply a joy to ride ! As a result, you'll intrinsicly stay more active, while readily sticking to your fitness or rehabilitation goals. Imagine looking forward to e-Bike ride vs that boring treadmill. • E-Bikes are awesome for group training and make group outings more doable, as everyone is better able to keep pace with each other! • E-Bikes are one of those rare technology 'equalizers' that comes along every so often. Every rider can keep up with the other, enabling your group to go anywhere no matter the stamina, or physical conditioning of any individual bike rider. • Maybe you won't need that 2nd or 3rd car? 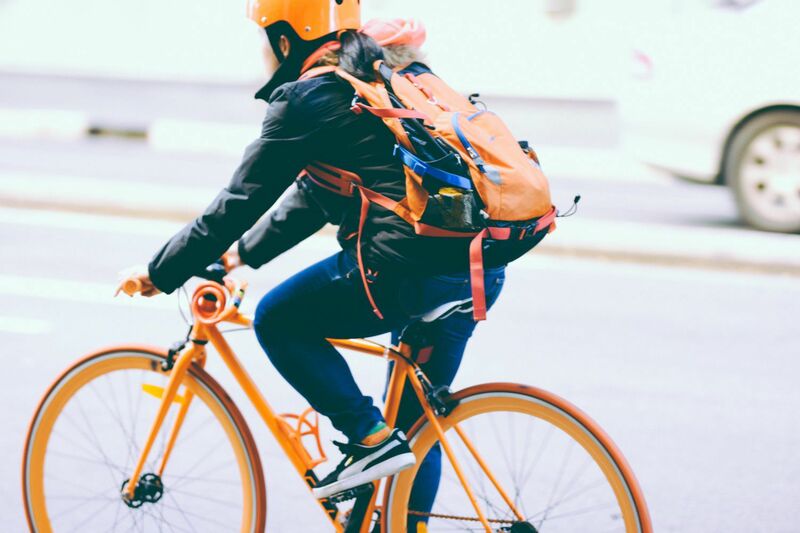 According to the D.O.T 2009 National Household Travel Survey, half of all car trips in the US are less than 3 miles, so e-Biking makes for a great lifestyle choice, and cost effective transportation. • E-Bikes are a perfect match for Solar PV! We designed and easily assembled a portable solar charging station at Mike's E-Bikes for charging our entire e-Bike fleet. • What is the best electric bike rental ? An E-Bike rental that is charged by solar - entirely emission free! 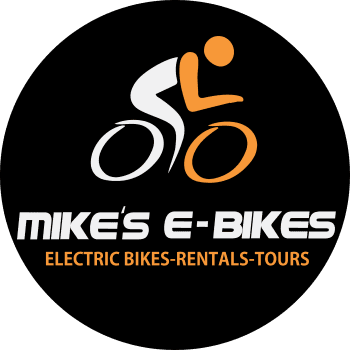 • Mike's e-Bikes re-charges each e-Bike using a portable Solar PV panel charging station, using the sun as a clean renewable energy source to replenish the battery. Sustainability Is Fun ! 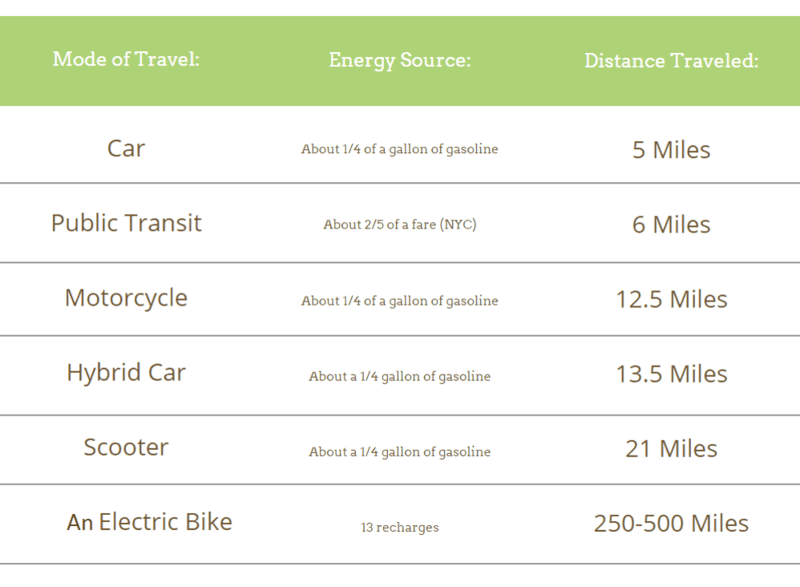 And An E-Bike Is The Most Efficient And FUN Form Of Transportation On The Planet !